E-liquid is the fluid used for electronic cigarettes. It is usually composed of propylene glycol (PG), vegetable glycerin (VG), nicotine, flavoring and water. When these ingredients interact with a vaporizer or atomizer, they simulate the experience of smoking with much less risk to your health. E-liquid is also highly customizable. You can choose the amount of nicotine, the flavor, and the ratio of PG to VG. Depending on which combination of ingredients you use, it can affect what kind of vaporizing experience that you have. E-cigarettes can help you stop your smoking habit. Here’s some information to empower you to create the perfect electronic cigarette experience that suits your needs and will allow you to be smoke free. The Base, or carrier, of an e-liquid holds the nicotine and flavor together. It also allows the e-cigarette or vaporizer to produce those clouds of smoke-like vapor. There are currently two kinds of bases – propylene glycol (PG) and vegetable glycerin (VG). Both are safe for consumers. Let’s take a look at the pros and cons of each. – PG based e-liquid is a colorless, odorless and tasteless substance. It has less effect on the flavor of e-liquid. Also, it has a stronger throat hit, similar to a traditional cigarette. PG is also thin and has a low density, which means that it leaves less gunk on the heating element of a vaporizer. PG would be a great place to start for beginners. However, there are a couple downsides to a PG based e-liquid. Due to its lower temperature resistance, it will burn more easily. Also, it is a known allergen for some e-cig users. If you experience any irritation using PG based eliquid, it is recommended to stop use and switch to VG based eliquid. – VG based e-liquid is a natural organic liquid made from vegetable oil with a slightly sweet aftertaste. It is a thicker fluid and produces cloudier, fuller vapor. And unlike PG based eliquid, it is not known to cause allergic reactions. On the downside, it produces a significant amount of gunk on the heating element of a vaporizer. It also has a weaker throat hit for those users who want something more like a cigarette. => If you are looking for an e-cig experience closer to smoking a cigarette and with fuller flavor, go with a PG based liquid. If you want a sweeter and vapor-heavy experience, go with the VG variety. Fortunately, there are versions of e-liquids that combine these two bases in varying ratios. This allows such eliquids to maintain qualities of each base. They may come in PG/VG proportions such as 50/50, 60/40 and 70/30. Start with a 100% PG based e-liquid and work your way from there. How much nicotine should I have in my e-liquid? You can choose from a few different levels of nicotine, measured in milligrams per milliliter of liquid. The amount can be anywhere from 0mg/ml of nicotine to a much more intense 36mg/ml of nicotine but if you use vaping to quit smoking, you have to be careful.  6 to 11 mg/ml – This is the lowest amount of nicotine. If you have been working your way towards a nicotine-free life, this might be the last step..
 12 to 16 mg/ml – This is a moderate level of nicotine. You are still getting that kick, but not too much.  17 to 24 mg/ml – In this high range, you are most likely a somewhat heavy smoker and want to dip your toes in the pool first. This is how you can start when you just quit smoking. Along the process, you can change the amount nicotine levels, depending on your needs and progress. BE CAREFUL! Avoid above 20mg/ml… Even if you smoked quite a lot and think you would be most comfortable starting at this level, you have to be safe. For instance, the European Union commission proposals would ban, by 2017, e-cigarettes that produce levels of nicotine above 20 mg/ml. In France, AFNOR published in April 2015 the world’s first voluntary standards for electronic cigarettes and e-liquids. E-liquids with levels of nicotine above 20 mg/ml can only be authorized if considered as drugs. How Do I Choose which E-liquid is Best? E-liquid is highly customizable, allowing you to create the perfect electronic cigarette experience. As of 2014, there were over 466 brands and 8000 flavors to choose from. It is recommended to go with brands that have certification, such as USP (United States Pharmacopeia) grade, for the PG or VG base in the e-liquid. These ratings help to ensure that your e-cigarette experience is also a safe way. The electronic cigarette is a great way to help you quit smoking. Choosing the best e-liquid really depends on what you want. 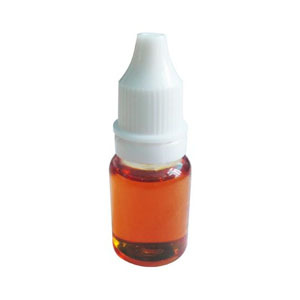 PG or VG based e-liquid each resemble certain aspects of the tobacco smoking experience. The level of nicotine can be changed depending on your quit-smoking needs. And the choices in flavor add a dose of variety and taste to the electronic cigarette experience. So, which e-liquids do you use? Let us know.